The next recordings are pure pop delight. Songs like “Confessin’” and “Dancing with Tears in My Eyes” are often referred to as “sweet” and criticized for being a watered-down version of the “hot” swinging jazz that people like Louis Armstrong were making. But that is missing the point: yes, this is jazz with all of the rough edges smoothed out, but what is left is a pure distillation of the beauty within. This is sweet candy for the ears. The same can be said for treats like “The Peanut Vendor” and “Mood Indigo” as well. Treat yourself and enjoy. 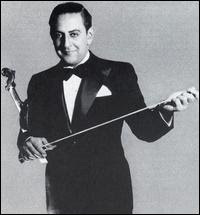 For the record, Louis Armstrong himself was a huge fan of Guy Lombardo. Listening to “Confessin’,” that comes as no surprise. The light sound here is deceiving: this is a band on top of its game. The orchestra moves as one with every instrument in place, and the playing is exceptional. The exquisitely crafted melody has you so entranced that by the time the lovely single-string guitar solo starts 40 seconds in, you already feel like confessin’ your love for this song. There is another minute of equally sweet music to go, though, before the singing begins. The wonderful guitar re-enters at this point to back up the vocals, and the effect is just heavenly. Nat Shilkret was the head of Victor’s “light music” division. As a bandleader, he rivaled Paul Whiteman in popularity in the late 1920s. (It was actually Shilkret who led Whiteman’s band in the famous 1927 recording of George Gershwin’s “Rhapsody in Blue.”) “Dancing with Tears in My Eyes” was the biggest hit of his career. Again, there is nothing technically challenging about this piece, and its classification as “jazz” is tenuous at best, but it is so amazingly beautiful it will make your heart ache. This song itself is like a dance: listen to the baritone sax at the one minute mark, and then the orchestra’s response. Once the vocals are finished, the orchestra comes in with a bit of ballroom-worthy light jazz that is hard to resist dancing to, with or without tears in your eyes. That baritone sax peeks in again at the very end, as the instruments come together for a delicately beautiful finale. Cuba had already become a popular destination for Americans during Prohibition in the 1920s, and ties with New York were particularly strong. 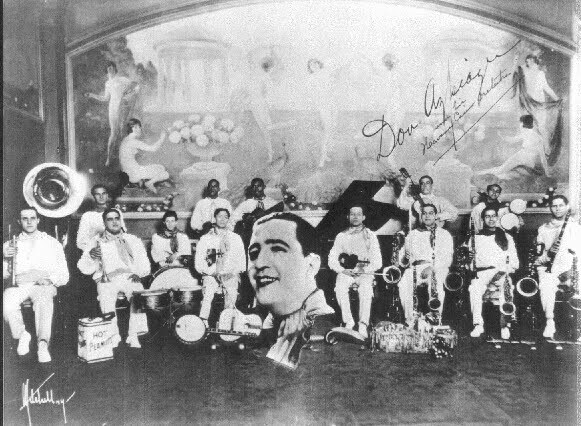 Many influential New York bands played regularly in Havana, and in 1930 this Cuban ensemble traveled to New York and recorded “The Peanut Vendor.” While not strictly music in the “American tradition,” it became the first Cuban record to sell more than a million copies and kick-started a Cuban music craze. Cuban and American music have continued to intermingle and influence each other ever since. “The Peanut Vendor” is a pregón (a song based on a street vendor’s cry) and is performed in the son style, which combines Spanish guitar and song structure with African rhythms and percussion. It is a heavenly song. The gentle, polyrhythmic percussion is hypnotic and makes it hard to sit still while listening. Singer Antonio Machín’s vocals are enchanting, and trumpeter Julio Cueva adds just the right amount of flair. At the end, the music softens and trails off dreamily as Machín repeats “Me voy” (“I’m going”) softer and softer. Wonderful. Not above sounding sweet himself, this Duke Ellington record is simply amazing. The Brunswick version of “Mood Indigo” is the second of three he recorded in late 1930 (the first was released as Okeh 8840 and the third was Victor 22587). As usual, all of these versions are unique and worth acquiring, but this seven-piece “Jungle Band” version is the one to start with. The horns begin by painting a slow, muted picture on top of a subdued but persistent rhythm section. Then clarinetist Barney Bigard steals the show with the first solo, giving a performance that shows that hot and sweet are not mutually exclusive. Even when he dramatically soars to the highest register – and squeaks on the way back down – it sounds like he is floating weightlessly. The trumpet solo by Arthur Whetsol continues in the same minimalistic but beautiful vein, and then after a brief interlude by Ellington on piano, the horns come together again for the mellow wrap-up.